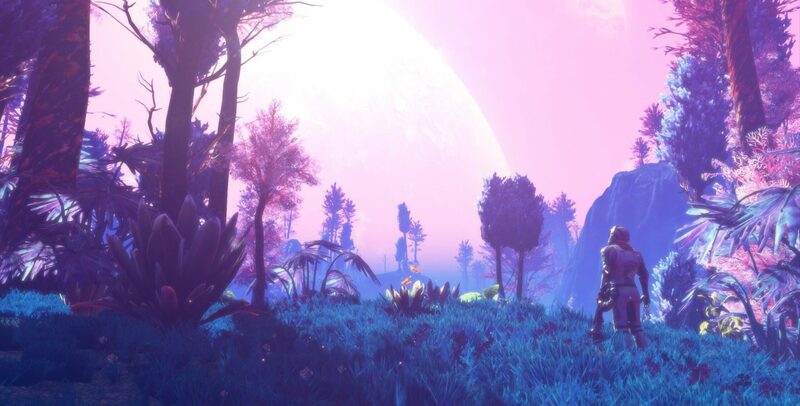 We’re still all a little sore from No Man’s Sky – so much so, that any game that even remotely resembles the title is described as “it’s like No Man’s Sky, but better!”. The surprising amount of games that are similar to the highly publicized disappointment are often painted with the same broad strokes, meaning all these sandbox games on a foreign planet end up being slammed with nothing but negativity. And while there are definitely games that deserve it, Planet Nomads may not be one of them. 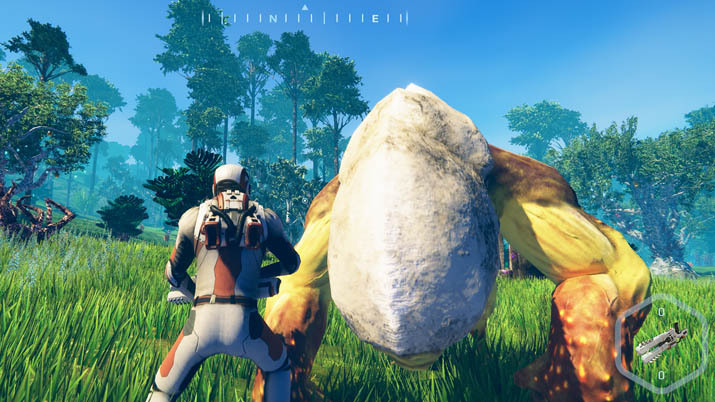 Developed by Craneballs, Planet Nomads is a sci-fi survival sandbox game set on a foreign planet. Your job as an intrepid explorer is to not only survive, but thrive. To do this, you’ll explore, gather, mine, and craft your way into familiar comfort, avoiding aliens that would do you harm. 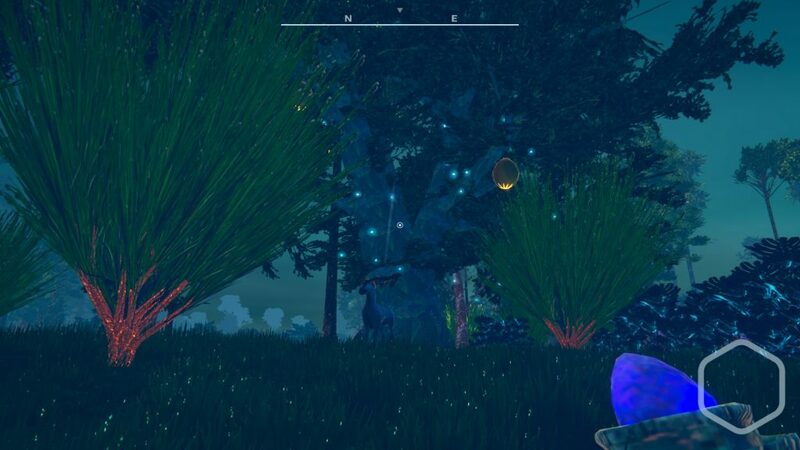 The game has been up on Steam Greenlight for approximately a year with its Early Access release date following on May 25th, 2017. The graphics are not necessarily the greatest, but they are stylized – and when you can’t achieve next level graphics, a good rule of thumb is that stylized graphics will make up for your technical shortcomings. They’ll at least age better than others – take Katamari Damacy, for example. The use of color in Planet Nomads is fascinating and vibrant, which was definitely a nice surprise on a foreign planet. Another nice touch was the passage of time from day to night – the little things that really sell the atmosphere were there, and they were definitely noticed. Another thing that was noticed was how much it did actually differ from No Man’s Sky. What I mean by this is instead of your character being a little explorer off charting planets across the universe, you’ve crash-landed on one planet and have to figure out what this ONE planet is all about. And while it may feel that the game is therefore limited, it’s more like it’s…focused. Where No Man’s Sky focused intensely on a mechanic that wasn’t all that great, Planet Nomads took something that worked and put it in a similar setting to the overhyped title of 2016. What’s that mechanic, you ask? Just like Minecraft, you will spend pretty much all of your time building things. Unlike Minecraft, the setting is not one big box of Legos with unlimited potential, but a plot of land that needs a campsite and vehicle. So if you’re coming from Minecraft and picking this title up, expect to feel like your hands are tied while customizing everything – it makes sense in the overall scheme of things for the game, so just roll with it. 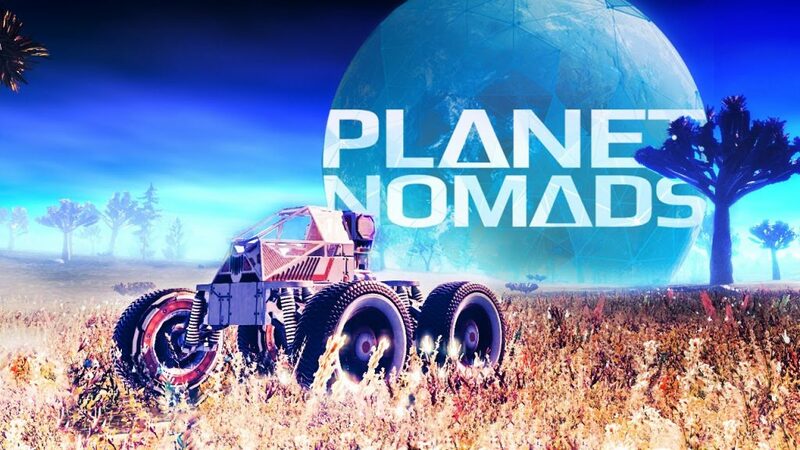 Planet Nomads has two modes: Survival Mode and Open World. Open World features the aforementioned building mechanic with as much freedom as the game will allow. In survival mode, you have limited resources upon landing, but are able to go out into the world and fend for yourself in a more “realistic” setting. You’ll have to forage for food, mine for minerals, and use your weapon to destroy aliens that would otherwise destroy you. Survival of the fittest, as they say! One complaint I have is the building system itself. It’s not very intuitive and it makes going back and forth from building to walking a bit difficult. The controls will take time to get used to, and at first it will be frustrating. Another complaint I have is how hard resources are to find. Resources, such as food, will sparkle when you approach them, but I could practically circumnavigate the globe and only find two food-bearing trees. Logically, you’d think that tree bearing food with seeds in it would have similar trees growing next to it, as seeds would fall by them and plant themselves, but turns out they’re like four football fields away from each other. Sheesh. Another complaint is some of the scenery – at first glance, the rocks appear to be something that you can interact with, but upon closer inspection you find that it was just designed to stand out for no particular reason. Of course, by the time you find out you’ve already wasted your energy which will have to be repleted by picking food from a tree on the opposite end of the Earth. Ugh. 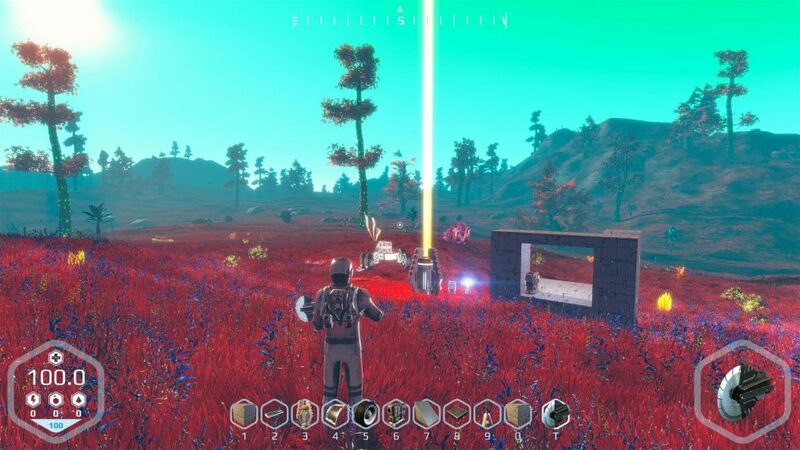 Overall, Planet Nomads has promise – especially if you’re a Minecraft fan looking for something a bit different. And while it’s certainly no Minecraft, it’s…well, not a No Man’s Sky either. So even though at present it kind of deserves its 6/10 Steam rating, it has the potential to get better. Here’s to hoping it will.